In true 5 on Friday fashion, I have an assortment of randomness for you!! This is the craziness going on in my head right now!! #1 Nixon has his very first t-ball game tomorrow morning!! It should be super interesting! Go Indians! I'm hoping after the game to decorate our house for spring. 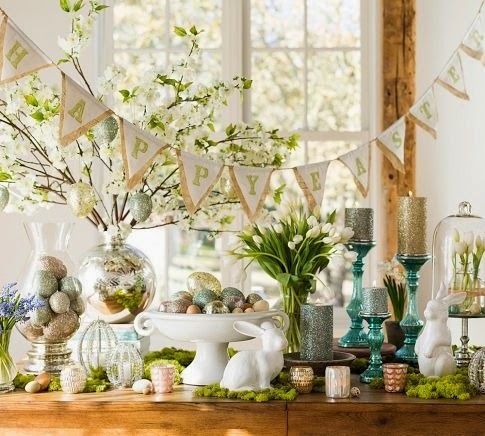 If you need a little Easter decorating inspiration, check out my post from yesterday here. On my to-do list is "order Ebby Lee some new bows". Casey at One Stop Bow Shop has super cute bows. She has an adorable gold hair bow that E NEEDS! Check out the gold bow here. Tab and I are participating in a Wednesday night bible study at church. 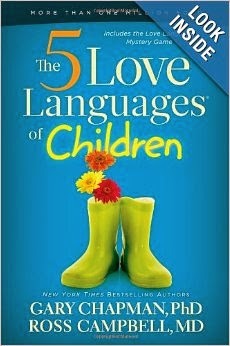 The 5 Love Languages of Children is the book we'll be studying. We've only met once so far and we're pretty sure we pegged all of our kiddos' love languages!! haha! Isn't that crazy?? We'll see if we were right once we continue to learn more, but we for sure have our guesses! I feel so blessed by YOU!!! Thank you for all the sweet words, comments, and e-mails!! I love hearing from you and getting new ideas for the blog. When I think about you guys, I feel so blessed. Thank you!! I think the Indians are going to be fabulous this year :). I'm so excited about tee ball tomorrow! And that book sounds interesting! I would love to hear more about it, what you think, etc. I'm going to have to order that book! Love your blog and I especially love your home decor posts! I can not wait for t-ball tomorrow. I will apologize in advance for any of my non immediate family that shows up, they are serious sports people. Go Indians! I'm interested in that book! Please if you can post a follow up when you are done reading it?